Did you miss the sale of Castrol Syntec at Costco last week? $9 off is an ok deal on 6 quarts of “synthetic” oil but there is no need to wait for Costco to put Castrol on sale for a quality oil change at an excellent price. 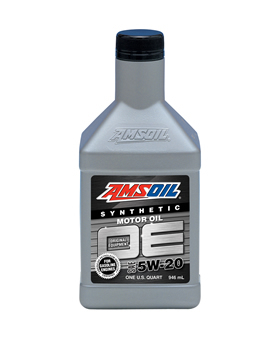 AMSOIL Original Equipment is available any time you need it at wholesale pricing for 0W-20, 5W-20, 5W-30 or 10W-30. If you live near one of the Canadian distribution centres in the GTA or Edmonton areas you can eliminate minimal shipping charges by picking up your order directly at the distribution centre. Your $30/year membership fee gives you access and wholesale pricing to top quality AMSOIL synthetic oils, oil and air filters – including partners like Wix, Mann and NGK. Contact me to discuss how to get you set up with a Preferred Customer account to gain access to the private warehouse and wholesale pricing.